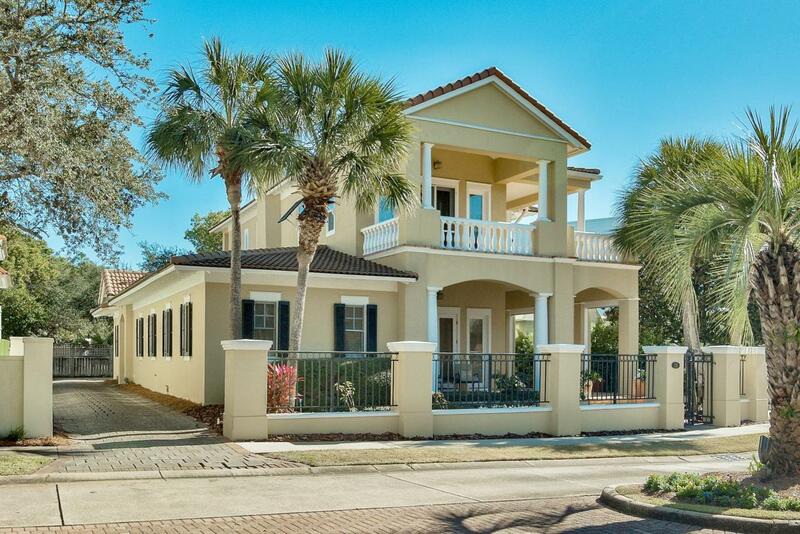 Blending the architecture of New Orleans with the colors of the Carribbean, the gated, gulf front enclave of Caribe has lush landscaping, the sugar white sands of the beach, West Indies design, and a fantastic locale between Sandestin and Destin. 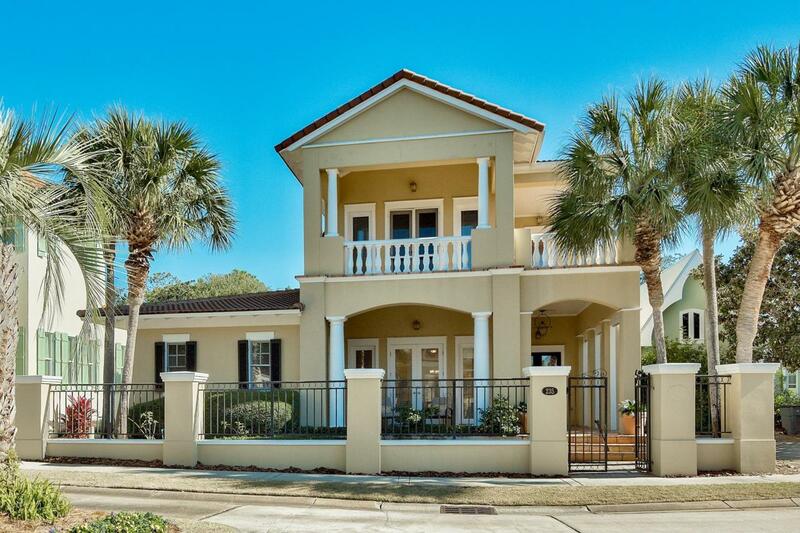 This Caribbean style home is located in the center of the neighborhood just steps from one of the two community pools and just over 1000 feet from the sparkling waters of the Gulf and one of two community deeded beach accesses. The property is one of the few homes with a detached garage for parking or storage that could be converted to a private carriage house. High ceilings (12')downstairs and French doors that lead to deep covered verandas are the perfect way to catch the Gulf breezes. Other features include crown molding, deep baseboards,interior and exterior columns, surround sound, alarm system, trach compactor, central vac and two HVACs. The dining room separates the large living area complete with gas fireplace and the eat-in kitchen; a private patio off the dining room is the perfect place for alfresco dining. The wet bar and half bath downstairs make entertaining simple, and overnight guests can easily stay in one of two bedrooms downstairs each with ensuite bath. 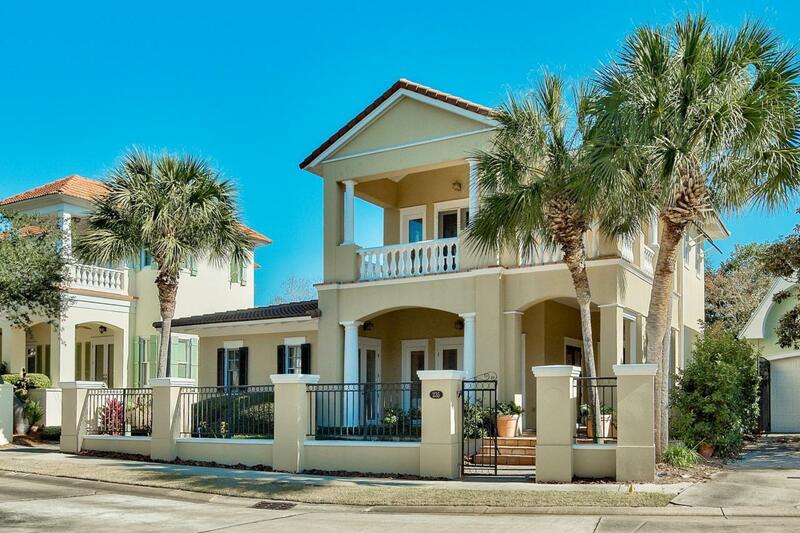 The entire upper floor is dedicated to the master suite with French doors that open to private porches that catch the Gulf breeze as well as the Gulf view. 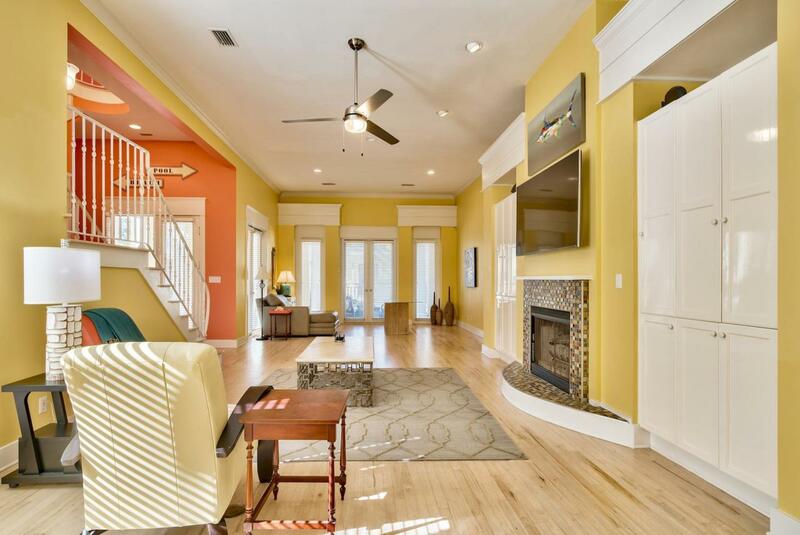 A vaulted tongue and groove ceiling adds interest, and the suite also includes a wet bar, sitting area, dressing area, and a large walk-in closet while the master bathroom has a whirlpool tub and separate shower. After a day at the beach, the residents of Caribe can also enjoy the community tennis courts or fishing in the lake.